Nobody knows better how to handle the air conditioning, heating, plumbing and ventilation needs of businesses and residents throughout the Greater Cleveland Metropolitan Area than W.F. Hann & Sons. We have been widely distinguished as the leading AC repair, AC installation and AC service for Northeast Ohio since 1907. We are celebrated for providing exceptional efficiency, productivity and improved temperature control. What is more, W.F. Hann & Sons is steadfast in constantly certifying our customers’ comfort, safety and the effective operation of their AC repair, AC installation and AC service. You can expect that all of our AC repair work and upgrades will be tailored specifically to provide top performance levels. There are few things that can be worse for the safety of your employees or your family if they are working or living in an environment that has obsolete and inefficient cooling or heating systems. W.F. Hann & Sons can repair and correct any AC service malfunctions in addition to decreasing operational and ownership costs. 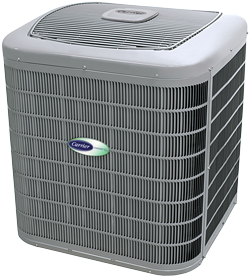 Therefore, whenever Pepper Pike residents and business owners are looking for the best AC repair, AC installation or AC service, the only name they need to know is W.F. Hann & Sons. Pepper Pike, Ohio is an eastern suburb of Cleveland in Cuyahoga County that has over 6,000 residents living there. At a little more than five miles south of Pepper Pike, W.F. Hann & Sons is located at 26401 Miles Road in Warrensville Heights. Pepper Pike residents are well aware that if they are contemplating purchasing a new cooling system, they can always count on W.F. Hann & Sons’ NATE (North American Technician Excellence) certified technicians for all of their AC installation, AC repair work and AC service. On the occasion Pepper Pike clients need AC repair work done, they understand that any of our AC service technicians will be capable of handling all of their AC service needs. The professionals at W.F. Hann & Sons has the talent and expertise to deliver its Pepper Pike clientele the precise, cutting-edge systems to ensure them savings in both energy and money. Not only will W.F. Hann & Sons go the distance in meeting its Pepper Pike clients’ expectations, but they will do everything they can to surpass them. W.F. Hann & Sons is unparalleled in its commercial and residential AC repair, AC installation and AC service. We are recognized for placing our clients first in everything we do. Our industrial technicians are licensed, insured and highly-skilled professionals who can be relied on to work within the parameters of our customers’ schedules, and protect their property by wearing foot coverings, using drop cloths, disposing of debris and remove all of our AC service equipment. With our state-of-the-art AC service, clients know they will always receive the most extraordinary AC installation, AC repair and AC service maintenance from W.F. Hann & Sons. Call W.F. Hann & Sons at: (216) 831-4200, today, if you would like to set-up an appointment with one of our experts. For those emergencies that can occur at any time and on any day, you will be pleased to learn that we make ourselves available 24/7.